Welcome to the newest entry in my evergrowing roster of articles. 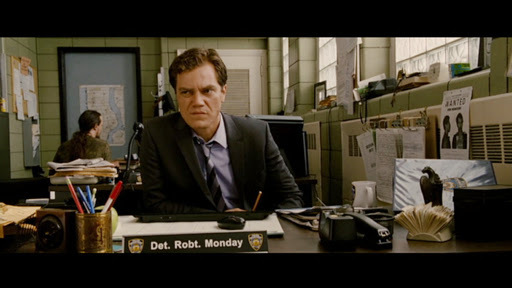 Today I begin "In Defense Of," in which I take a look at some...let's say controversial movies and put forth my own argument as to why they're worth a look. This is not about discovery in the way my journey through my pile is, this is much more about putting forth my own personal idiosyncrasies and maybe changing your mind on some lesser respected works. 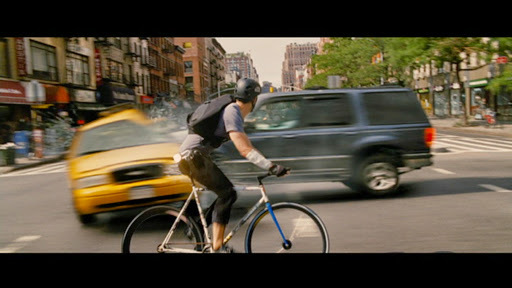 Today we look at the Bike Messenger epic, the Levitt starring Premium Rush, by one Mr. David Koepp. 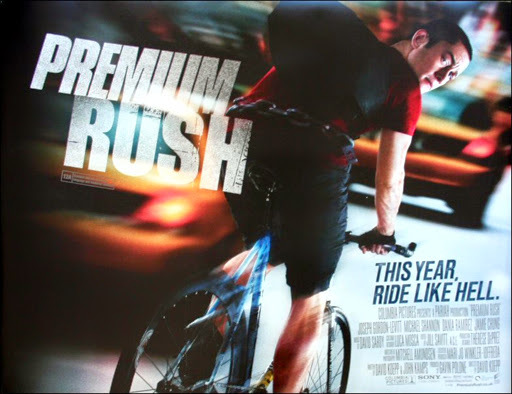 Levitt stars as Wiley, the brash, handsome bike messenger with a death wish, who gets caught up in police corruption, immigration woes, and rival bike messengers. If you read that last sentence, and think that this film actually takes itself seriously, then just stop and move on. If you read that and get excited by just how amazingly tongue in cheek it sounds then this film will quickly rise to the top of your awesome list. Koepp directs the film with style to spare as he fills each frame with an amazing kinetic energy, he brings us into this weird sub culture as bike riders race across town using blue tooth headsets(thus allowing his camera to zoom through the streets of New York while still keeping dialogue going)arguing over girls and trying to one up each other every step of the way. Wiley even has this unique ability to see the future depending on which path he takes, a technique that pays off with some hilarious(yah that's right) crash scenes. The film moves along briskly taking care to keep the plot coherent enough that Koepp is able to indulge himself with some great scenes. A breakout from a police impound involving bike parkour is a standout. Throwing in some pseudo intellectual bike metaphors masquerading as life philosophy Koepp delivers an entertaining ride(heh) from start to finish. This is an unexpectedly smart film that apparently went over the heads of most critics. 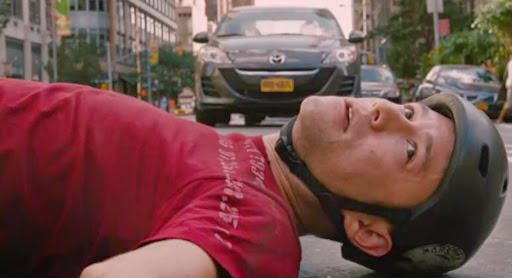 Ever aware of itself the film paints an absurd reality where anything can happen. Not that there is a twist, but the film keeps you on your toes to the very end. The film doesn't take itself seriously, so why should you. This is about celluloid fun and it delivers on all accounts. Highly recommended. One last thought - if you still don't believe me, watch it for this guy chewing up the scene like no other.